One of the most common and used themes in miniature wargaming is the Dark Ages or Medieval setting. 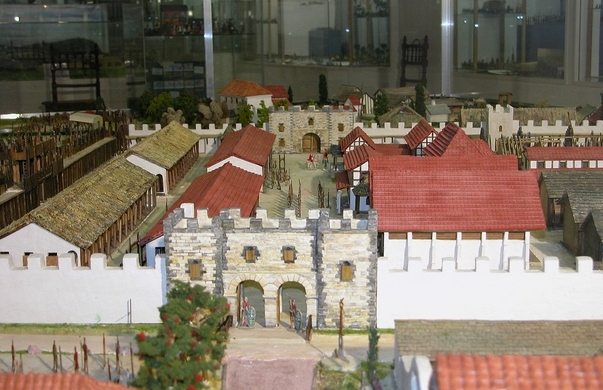 The popularity of the medieval terrain has increased in recent years, especially with the popularity of historical fantasy films and TV series such as Game of Thrones. Some of the most popular offerings of the medieval terrain market are from 4Ground, Sarissa, and more brands. A common starting point is MDF terrain. MDF terrain and buildings are popularly used as alternatives to resin, hard form, or plastic buildings and terrain. Great things can be made from MDF, especially when geared towards themes such as the Wild West, Civil War Period, Feudal Japan, and the like. However, MDF sheets do not capture texture convincingly and some terrain can look like sheets of wood or cardboard. Texture can be added to the walls, but they may further accentuate the cardboard appearance. MDF can provide you with a foundational base as you add more authentic material for the rest of your project. When it comes to building a medieval setting, the Warbases’ Dark Ranges can be acceptable. The kits come in a simple and modestly priced package, and can be flexible for multiple directions. The professionals of Warbases can also provide additional cutting service if you request at the right moment. For the first step, medieval houses are placed into range, then wooden coffee sticks or lolly sticks are cut, sized, and glued to the walls of the home. Additional details can be added such as doors, windows, and more. Once the details are added, the houses can be dried in the sun before applying additional texture. Thatched roofs can be accomplished using teddy fur cut to fit and rinsed in PVA glue and water. Once you have mastered this step, you have completed the starting point of your project. This makes you well on your way to completing a medieval-themed village or city.